Wow, 2 updates in one month! And that’s because we’re using this blog to show each new project as it goes to air. You can click the image to play the film, or click the embeded youtube logo which will take you to our toasttvtube page. Toast’s first job shot on the Canon 5D features a sensitive portrayal of a couple living life with Alzheimer’s disease. Created by a leading healthcare agency CDM and directed by Toby Tobias, this short caregiver’s guide will accompany every prescription of an Alzheimer’s disease medicine. Director of Photography Alex MacDonald is right at the forefront of this new DSLR revolution, having built two Kinomatic 5D rigs. You could check out his work here. And for those of you who want to know more about this DSLR revolution, check this 35mm and D5 comparison on Zacuto. 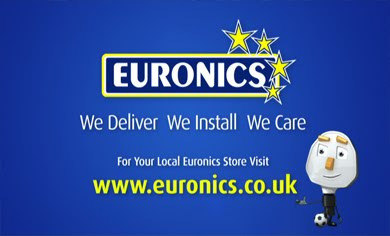 Euronics and Samsung have teamed up to create this TVC just in time for the 2010 world cup. Created entirely from archive footage, using motion tracking and after effects, all the key messages are played out on the advertising hoarding, spelling out an offer so great that the cameraman and commentator are more impressed by the offer than the game in progress.